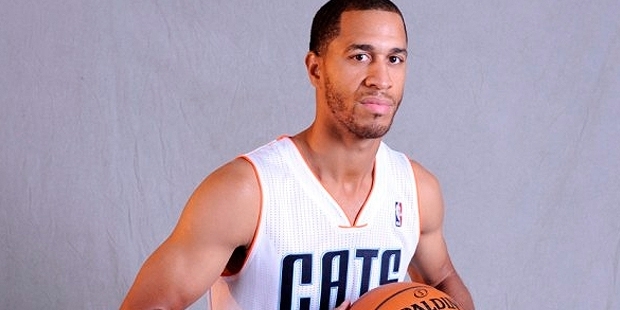 Jannero Pargo is a prominent basketball player of America, currently playing for the Oklahoma City Blue of NBA (D League). He has had a venerated basketball career, as he has played for LA Lakers, New Orleans, Chicago Bulls, Washington Wizards, Charlotte Hornets and Now for Oklahoma City Blues. Jeremy Pargo is his brother, who himself is a professional basketball player currently playing for Zhejiang Lions of CBA, the Chinese Basketball Association. Born in 1979 in Chicago, to Charlie Mae Pargo, Jannero was highly interested in basketball from his very early age. He used to seek any possible opportunity to play the game, and continued his passion to make his career. Jannero attended Paul Robeson High School in Chicago, Illinois, where he played for his school. He played in the collegiate level for the University of Arkansas after having trasferred from an out of state college, Neosho County Community College in Chanute, Kansas in 2000. While in the University of Arkansas he played for his college and after graduation, pursued basketball as a full-time career. 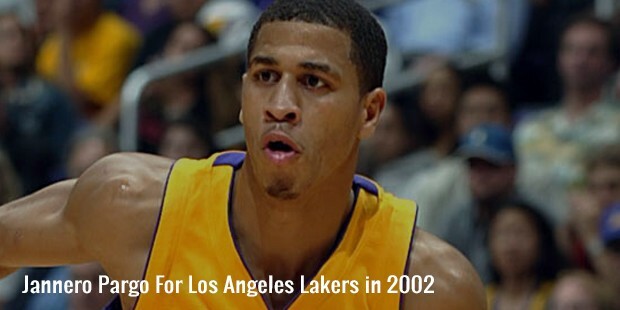 He started playing in NBA for Los Angeles Lakers in 2002, and continued with them until 2004. He went on to play for the Toronto Raptors, Chicago Bulls and New Orleans Hornets till 2008. In 2008, he signed up for a year with Russian League team Dynamo Moscow. It was a $3.8 Million contract. The very next year, he moved to Olympiacos Piraeus, a Greek League Club. 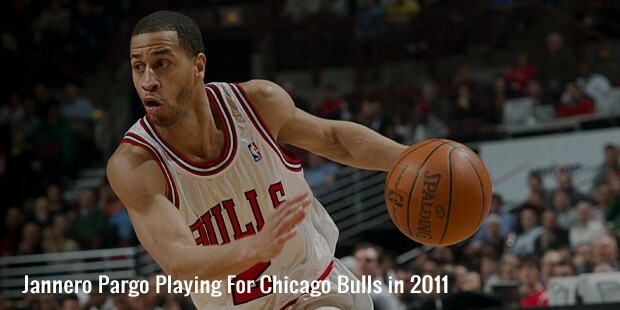 In July 2009, Jannero came back to the Chicago Bulls, having signed up for a one year deal, marking his return to the USA and to the NBA again. Until 2008, he played for Los Angeles Lakers, Chicago Bulls, New Orleans Hornets and Toronto Raptors. He earned an average of 10.3 points through 12 playoff games, and hit big 3-point shots in 7th game of Western Conference semi-finals. After that, he signed a contract with Dynamo Moscow team of the Russian League, and averaged 1.4 assists and 3.5 points per game. 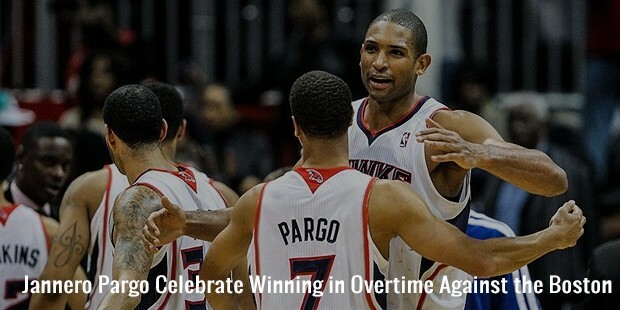 In 2009, he returned to NBA by signing a contract with Chicago Bulls, and then joined New Orleans Hornets in 2010, Chicago Bulls in 2011, Washington Wizards in 2012, Atlanta Hawks in 2013, and Charlotte Hornets in 2014. Pargo has not been playing since December 2014 due to a back issue, but expected to return to the game soon. Jannero stands not so tall at 1.85 m, as compared to other players on the field who are more than 2 m tall, but he is one of the fittest basketball players of NBA. There are rumors of him being gay, and his recent separation from his wife has further fueled the fire. However, he has a friendly and cheerful personality, but not so lucky in his personal relationships. Jannero married Laquisha, also known as Malaysia, in 2006, with whom he has 7 year and 3 year old twins. She is best known to have featured on ‘Basketball Wives: LA’ of VH1. They stayed together for 8 years, but they separated in 2012 due to news of infidelity from Malaysia’s side. The couple finally divorced in 2014. In the divorce proceedings, Malaysia was lucky to get total custody of their children, given that their seperation came about because of her affair with Mase. Along with having to pay his ex-wife's attorney's fees, which amounted to a quarter of a million dollars, after the divorce, Jannero has to pay $15380 for child support and $7500 for spousal support every month to his divorced wife. In addition to his basketball career, his separation from his wife and the huge alimony he has to pay to his ex-wife has made him a popular fodder for the gossip rags of the town. His on-the-field skills and personality make him one of the most famous basketball players of NBA. Jannero's brother Jeremy is also a professional Baasketball player who plays for the Zhejiang Lions of the Chinese Basketball Association (CBA).